nothing with skin is blind. Kai Lossgott. 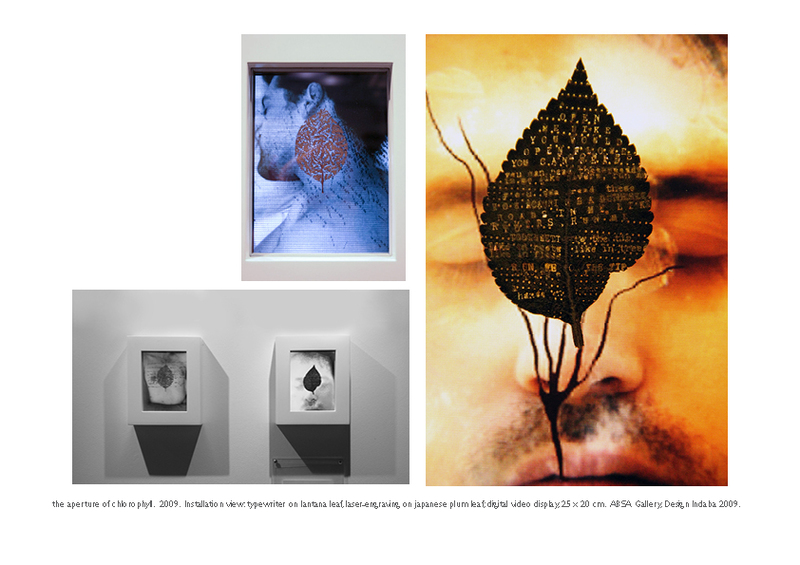 Plant leaf engravings, installation, light, sound, video, photography. “Influenced by global evidence of climate change, we are currently re-defining our collective and personal identities. As we begin to realise we are part of a living system, we ask: what is the borderline of intelligent life? A plant, perceives in the way human skin perceives. It scars, it heals. It remembers. 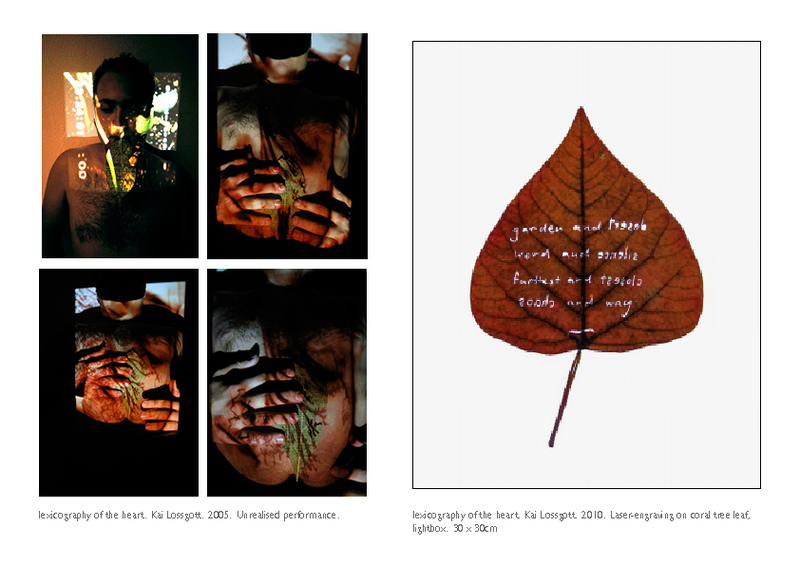 Since 2007, my personal practice has focused on the relationship between neurology, ecology and linguistics, investigating touch, silence, biological languages and acts of sensing, exploring green politics and systems theory through experimental film, performance, and drawing. My work exists in the tension between the natural (silence and neural sensitivity) and the cultural (language and information systems). 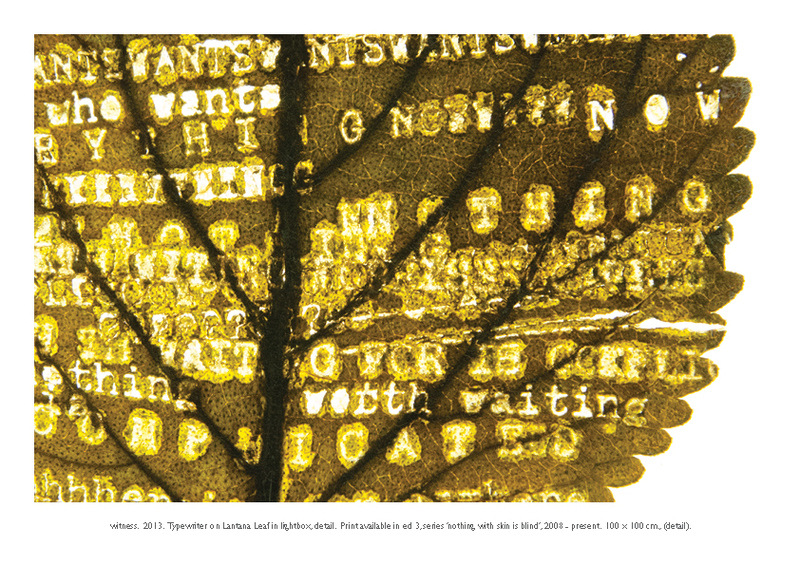 Using an etching needle, a typewriter, and a laser-engraver, I make minute incisions, punctures and impressions into the living tissue of plant leaves to form texts and images. 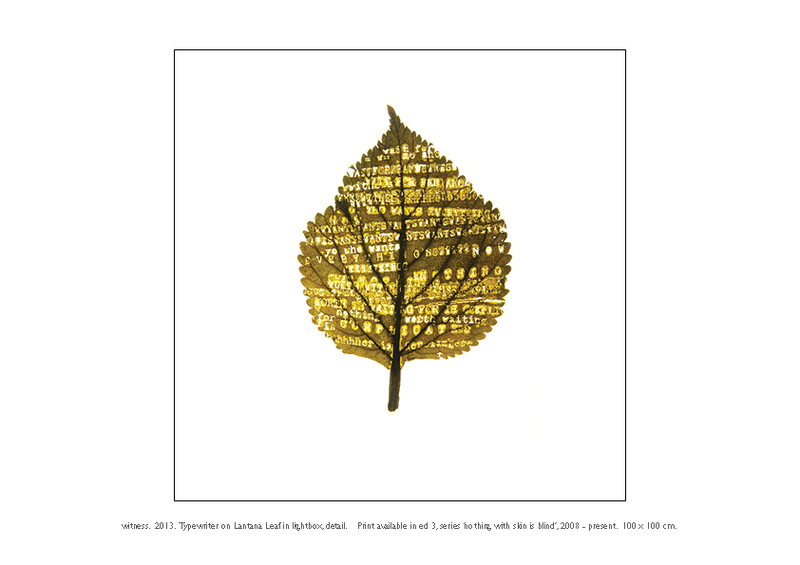 The act of engraving in leaves makes reference to theories of cellular memory. Only visible against the light, displayed in lightboxes, the engravings gleam. 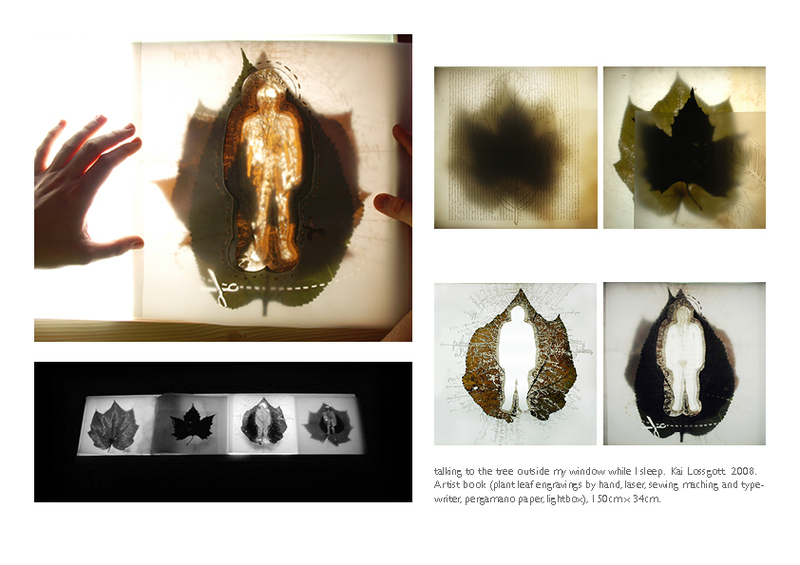 Kai Lossgott, Artist Statement in “talking to the tree outside my window while I sleep” (2008), ISBN 978-0-620-49769-5. ← Previous Post read these roads. Kai Lossgott. Video installation. Next Post → alive and dying. Kai Lossgott. Site-specific performance, video, live interactive sound, movement and puppetry.